We respectfully request for our third day (Friday 8/10/18) that you please follow the “drop-off & drive” procedures versus parking and walking your child into the building. For the safety of you and your child, we simply cannot allow moving cars and walkers in such close proximity. 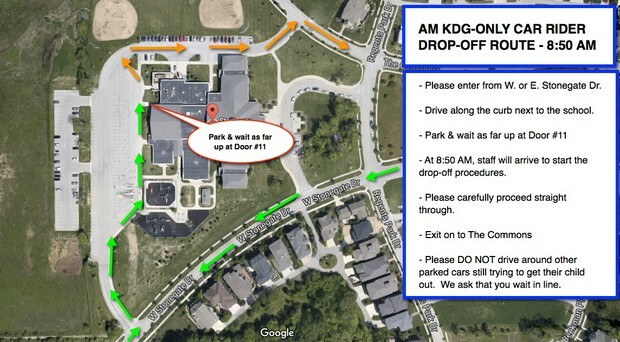 If you are WALKING your child to KDG, please drop them off at our main entrance. 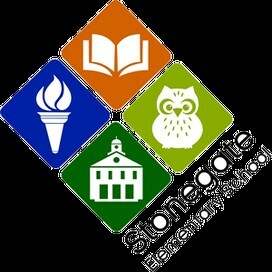 A staff member will be there to supervise your child. There we will be TWO cones set out between door #11 and door #10. The area *between* these two cones is where you will let your child out. Please remain in your car. Staff will assist your child(ren). Once your child(ren) is out of the car, please WAIT for the line to move forward and do not get out of line and bypass the cars in front of you. Please help us to keep everyone safe!